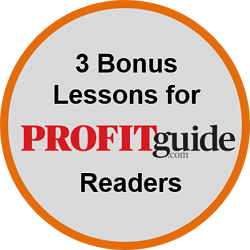 Three bonus lessons from The Radical Sales Shift just for ProfitGuide readers. 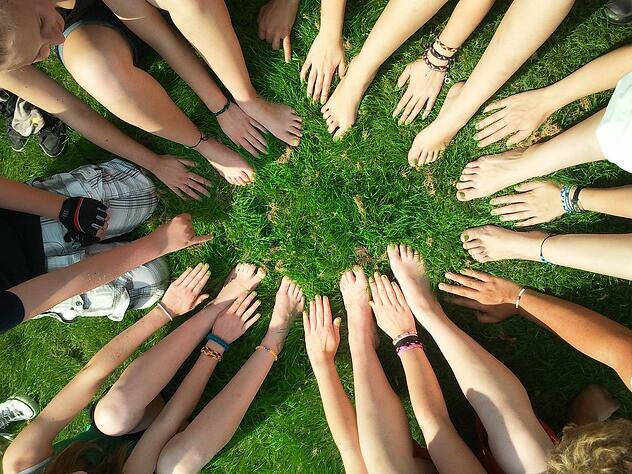 make sure your sales and marketing teams are working well together. It's hard for any company to say no to potential clients. But you simply can't be all things to all people, and expert marketers agree that focusing on a specific target market yields the best results. But how do you figure out what your best target market actually is? 1. Use your internal data. Analyze the information you already have to figure out who your most profitable customers are and determine what they have in common. Admittedly, there’s a challenge with this approach for many companies. It's rare for B2B companies to have the volume of data that makes this kind of analysis possible. If you're dealing with hundreds - not thousands - of customers and transactions, there's less information to work with. But if your company has extensive data, make use of it to pinpoint where your best deals (and profits) come from. 2. Work with your sales team. What kind of organization does the buyer work in? How do they make decisions when buying your particular product or service? And don't forget, there are often multiple decision-makers involved, so creating several personas to cover the variety of buyers who are involved in a purchase is a great idea. One of the biggest challenges B2B marketers face is working within companies that have limited experience with marketing. When other executives don't know how things work in marketing and how long they take to accomplish, expectations can be unrealistic. Strategic marketing takes time, but when you're under the gun to deliver short-term results, it’s essential to deliver some tangible marketing results in the first 100 days. Tangible results can include a variety of things – for example a marketing strategy, new sales collateral, a defined sales process, an email marketing campaign, or an updated website are all good options that will be seen as wins from the marketing function. For marketers in companies that are new to marketing, it’s vital to make your colleagues confident that you can deliver long-term results – and you’ll do this by delivering some short-term results (or quick wins). So make sure you're not just focusing on long-term strategies. The reality is, if you don't show results in the first three or four months, you may not have a job in a year. Get the sales and marketing groups together for 60-90 minutes to review results of recent campaigns and discuss the quality of leads generated. 2. Have marketing people go on sales calls. There's no better way to understand the customer than by actually meeting them and hearing what they have to say. Instead of putting your sales and marketing groups in different parts of the building, treat them as the team they are by seating them side-by-side. It's a great way to build trust, friendship and understanding – and it encourages spontaneous discussions, which can lead to great ideas. Follow these three lessons to make sure your marketing is focused on the right targets, that you deliver short-term results to give confidence to your colleagues, and ensure your sales and marketing teams work well together. 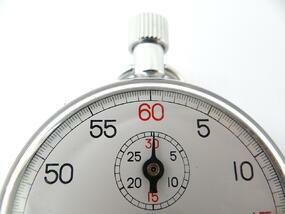 Want more from The Radical Sales Shift? Get the First Chapter Free below.